The Non-Profit-Organization AccesSurf has been founded more than 10 years ago in Honolulu, Hawaii, with one goal: make surfing accessible for people with cognitive or physical disabilities. The joy of the sport, the power of the waves and the supportive community have a positive, therapeutic effect on people with disabilities and can help to empower them. Today the foundation is a worldwide-known Paralympic Sports Club with famous athletes and participants. They are organizing around 40 events per year with the help of more than 900 volunteers! So you will enjoy getting to know the huge community. 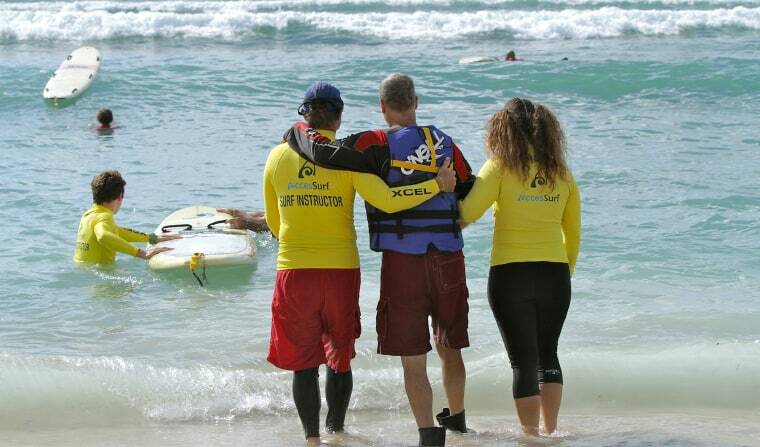 AccesSurf invites the participants to three different programmes: there are frequently “Days at the Beach”, where trained volunteers support the participants with adaptive swimming, floating, tandem surfing or even surfing independently. There is also once a month the “Wounded Warrior Day“, where injured service men and women are invited to come to enjoy a day at the beach and experience the unique feeling of surfing in spite of their injury. Last, the organization also runs a professional adaptive surf team, which gets coached by famous trainers. 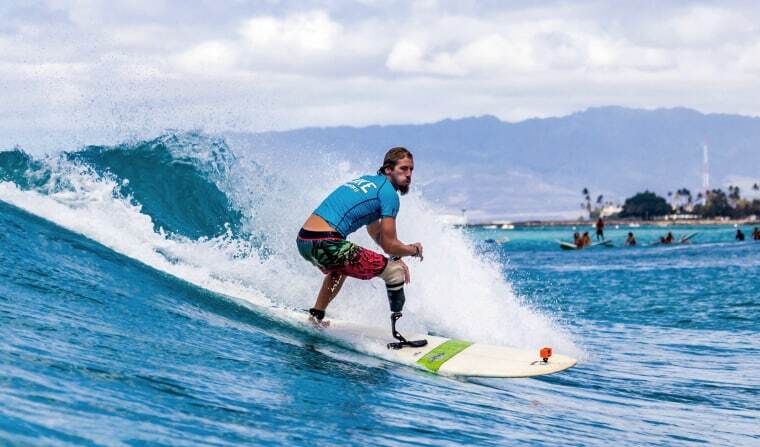 The athletes of this team participate in international competitions, like the Hawaiian Adaptive Surfing Championship, a famous event which is organized by AccesSurf and has a good reputation – even among celebrities who participate in side events. AccesSurf has already quite a big pool of volunteers, however your help will still be much appreciated and you can always join them for their monthly events. You don´t even have to be a good surfer, but you can support them with assisted swim, water transfer, water safety or other activities like the set up, check in, maintenance of equipment, catering, tear down and so on. Volunteers who have knowledge in therapeutic recreation, rehabilitative medicine, and ocean safety are also highly appreciated. On the Website of AccesSurf you will find the exact dates of the events and the necessary online application for joining the event. For new volunteers there is always an orientation in the morning of every event, which is obligatory. There are no extra costs for participating in those events as a volunteer, however anyway you will need to pay and organize your accommodation and board yourself. Hawaii is definitely not a cheap place, but if you are up for some Couch-Surfing or if you look for a convenient hostel, you can get along with a lower budget as well. As with AccesSurf you usually only volunteer at their specific events/on specific days, you will have a lot of time to catch some waves yourself. 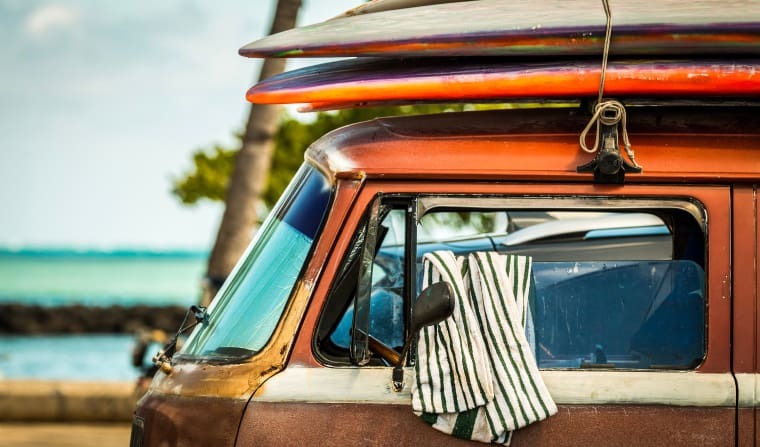 On the north coast of the main island Oahu and the neighboring island Maui there are many world-famous surf spots. But not only here, but also on the other islands you will find many options for every surf level. Depending on your experience and preference you can find what you are looking for, however the crowds of course can spoil it a bit – check out the known websites, talk to other travelers and of course locals and try to get some insider recommendations ;-). And if you are coming in the winter season (October-March) you might get to see some world class surfers getting their adrenalin rush in big waves. The “Days at a Beach” and “Wounded Warrior Days” are located at the White Plains Beach Park on the (most famous) island Oahu. This beach is easily accessible as it is situated around 40km away from the capital Honolulu. In Honolulu you can find cheap options for accommodation and restaurants/bars, which are not so much around at the remote beaches, however of course it is more touristic there as well. Apart from Surfing, Hawaii also has many other attractions – there are the highest volcanos on earth (some of them are still active, flooding regularly parts of some of the islands! ), there are many waterfalls, coral reefs and a unique flora & fauna. The Hawaiian culture and the intercultural society you can find on the islands also make them a very interesting destination. Of course we could state here again, that Hawaii is not a sustainable surf destination because of its distance and the long flights you need to take to get there. However as we have written about that already in a couple of blogposts, we now want to mention the history of Hawaii! In recent years the Hawaiian sovereignty movement (for independency) has grown again and also the culture gets a bit more important. So you might want to know more about the native Hawaiians and the immigrated populations as well? Some information you can find for example on this website. If all of that sounds really good to you, then why don´t you have a look on the website of the non profit organization AccessSurf and keep us up to date if you get/got to volunteer with AccesSurf – we would look forward to your comment below!